Energize and inspire your students with the beautifully crafted, delightfully eerie sounds of Halloween! Sneak Peek from Attention Grabbers Book One is one of several pieces that are exciting Halloween pieces! Each piece has a teacher accompaniment. 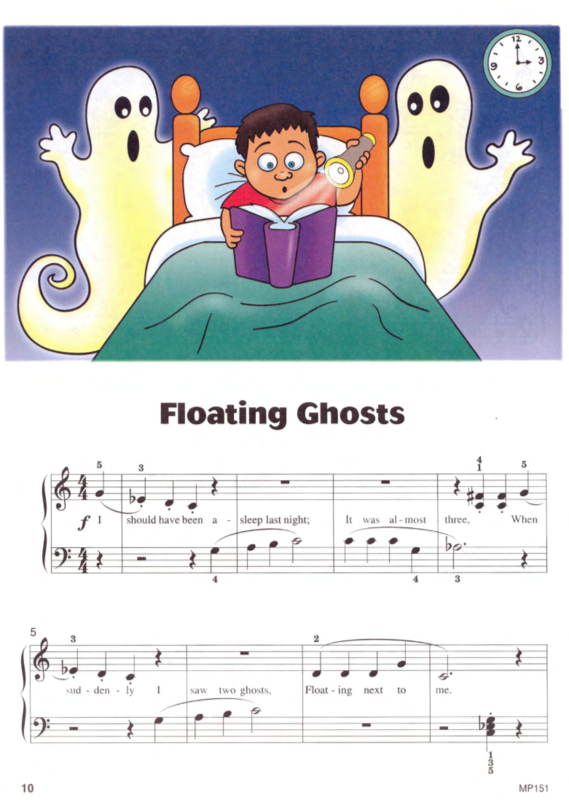 Piano Town Halloween Books include pieces for the first weeks of lessons for complete beginners through early intermediate students. 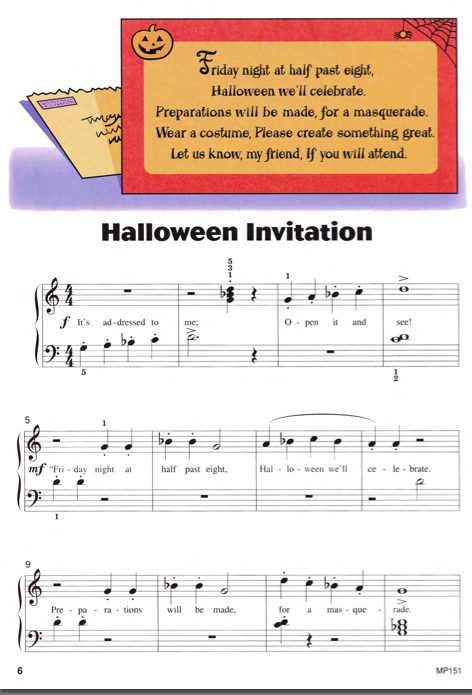 Primer Level middle C position Halloween pieces include duet parts to inspire students to create beautiful, eerie sounds. Perfect for a brand new beginner and can easily be taught by rote. Evocative art and haunting accompaniments bring the simplest tunes to life. Primer Halloween Piano Town. Floating Ghosts from Level One Halloween. Dangerous Path from Level Three Halloween. This piece is excellent for teaching how to open the hand from a fifth to a sixth. From Attention Grabbers Book Three. Kids love using the black keys to make this easy piece come to life! Halloween Invitation from Level One Halloween. Creepy Conversation from Level Two Halloween. Chasing the Phantom from Level Two Halloween. Wuthering Heights from Attention Grabbers Book Three is a fantastic Halloween piece! Phantom Ship from Level Three Halloween. Sharps and flats are much more fun when they're part of a spooky Halloween escapade!